You’re sitting down for a family dinner at the kitchen table. You ask your daughter about her sports practice and your son about his theater rehearsal. Everything is as calm and enjoyable as it gets. Until you hear the dreaded scurrying coming from your pantry. Knowing that you have a rodent in your home is extremely unsettling. It could be ravishing your supply of cereal as you eat your meal; it could be engineering pathways to infest another area of your home; or, it could be opening its nest to other family members. 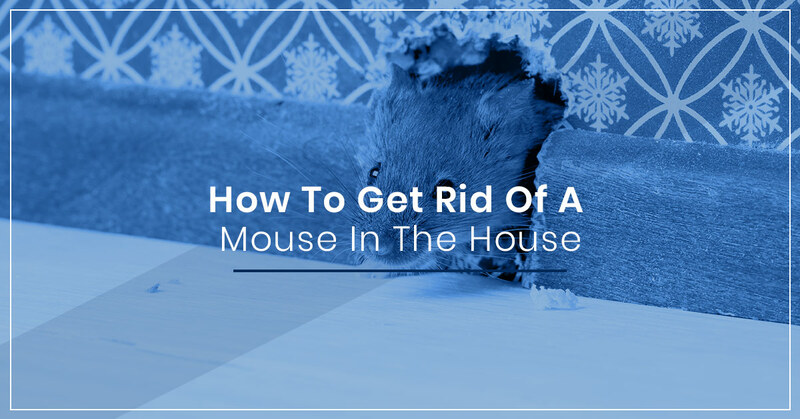 When you have a mouse in the house (multiple mice, more often) follow these strategies to try and eliminate it. A mouse can’t get in if your home is rodent-proofed. This doesn’t necessarily help if you already have mice in your home, but it can at least stop other rodents from entering and might make it easier to finally trap the nuisance in your home. If the tip of a pencil can get through a hole, so can a mouse. Follow this rule of thumb as you try to block potential entry points. Seal any cracks in your foundation, any wall openings near utility pipes and ventilation, and any areas under doors. You want to make sure you use strong caulking material instead of wood or rubber, as mice can easily chew through these sealants. It might seem archaic, but mouse traps are effective at catching mice currently in your home. Use food that will attract the mice, such as chocolate, peanut butter, oatmeal, or dried fruit. Be sure to set more than one trap and to set them in multiple locations of the home. Even if you’ve only seen one mouse, chances are you have a more serious rodent infestation. Understanding the behavior of mice also helps. Mice don’t usually go more than 20 feet away from food sources, so concentrating your traps here makes the most sense. Additionally, if you spot droppings anywhere, place traps in these spots as well. Mice don’t need a whole heaping portion of food to survive. In fact, they can do just fine on three or four grams of food a day. So, a tiny crumb to you might be an unlimited buffet dinner for a mouse. The same goes for your garbage. Make sure it’s tight and secure so that the mice aren’t drawn to your trash. Mice are called “pests” for a reason. They’re extremely hard to get rid of, primarily because they can sneak between so many tiny crevices. If you can’t seem to rid yourself of the problem on your own, you want to hire a local pest control company. Not only are they experts, but they can also help to prevent future infestations from occurring. For a local pest control company in Modesto, Pentecost Pest Control is the Top Rated Local pest control company in the area. We specialize in rodent removal among a number of pest control services, so be sure to schedule an appointment with us today!